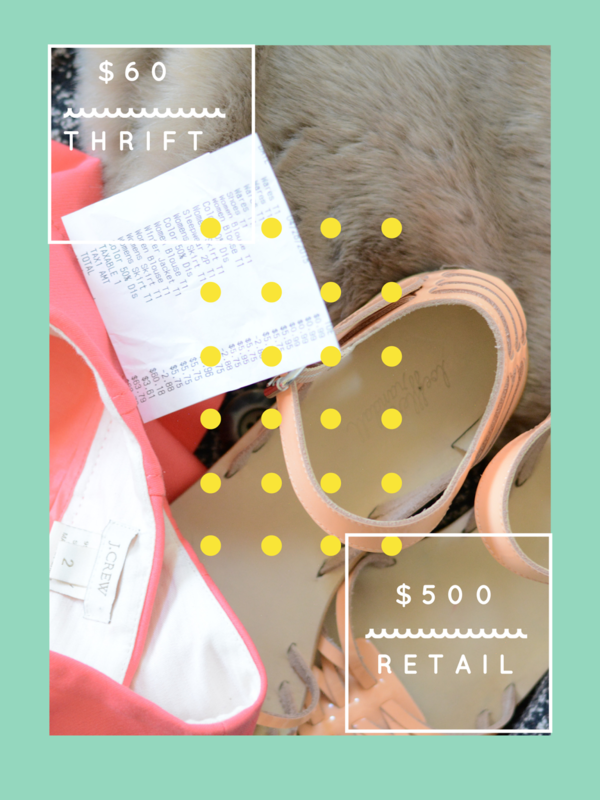 I spent $60 and left with a thrift haul worth over $500. 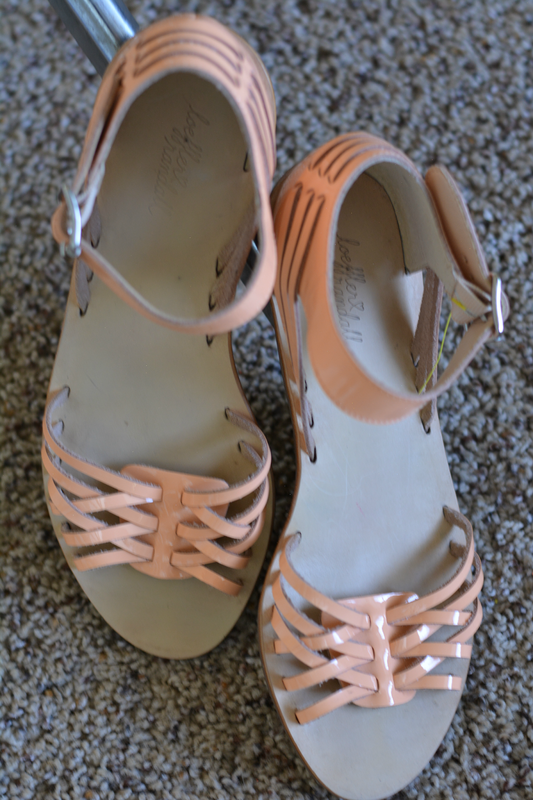 A few of my favorites in this haul are the Loeffler Randall sandals, J. Crew skirt, and a winter coat too "dahling" to pass up. This haul has a little bit of everything - designer, vintage, and even faux fur! Loeffler Randall Evan huarache sandals with a retail value of $195. As a teenager, I would buy myself a new pair from Payless every year. No idea if it was the fashion or not. I just really liked huaraches and let out a little squeal when I saw these. Designer finds give an extra bonus high. I bought the vintage Vanity Fair camisole & slip set because I was in the lingerie section looking for tank tops. Camisoles are cheaper and are sometimes similar in appearance to tanks. I wasn't looking for a set but I do love that I have a tank and a new vintage slip to add to my collection. 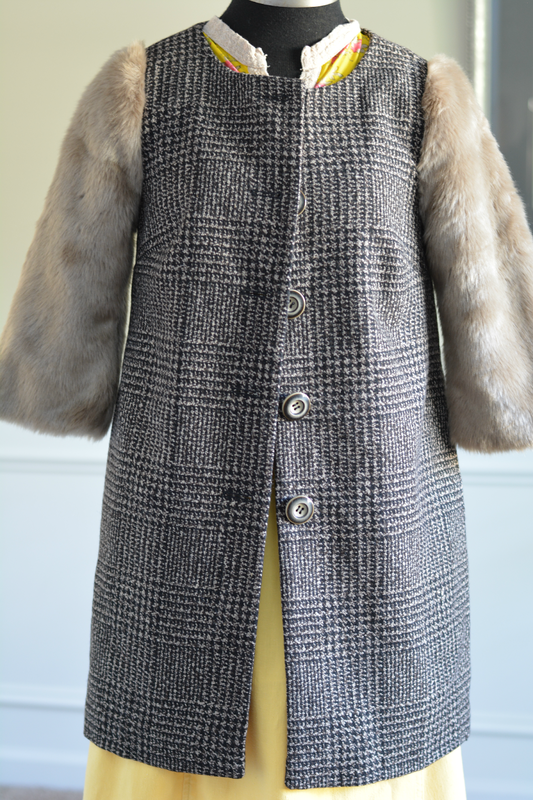 I almost want to bring back winter so that I can wear this vintage inspired Darling Coat with faux fur sleeves. It was sold on ASOS and retailed $157. Someone remind me I have it once winter rolls around. 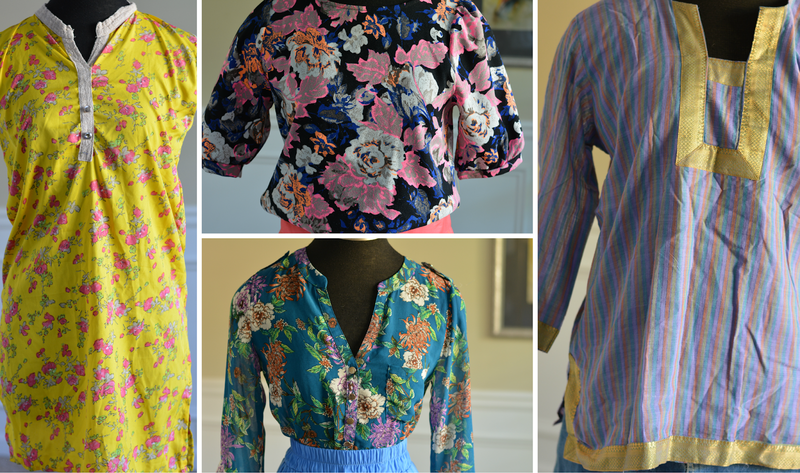 I found 2 blouses from Fab'rik. Blouses typically run about $40 in this store. I wasn't familiar with the brand until I moved to Georgia but they have a Francesca's vibe. 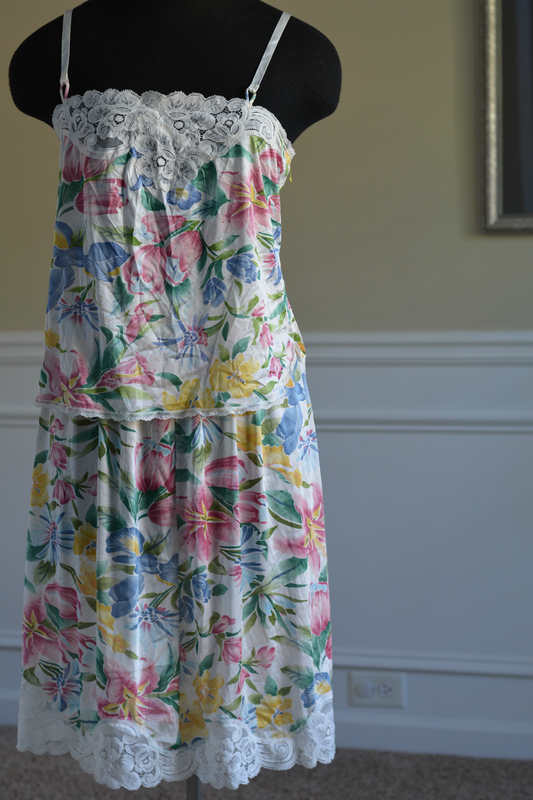 I liked the vintage florals on these two blouses and I am looking to wear something other than t-shirts all summer. I also found 2 tunics to get me out of t-shirt mode. The yellow one is beat up and will have to be refashioned into something else. I really liked the print and since it was half off, I took a chance on it. The other tunic is lined and perfect. I sold a J. Crew No. 2 pencil skirt on eBay once and wished for one of my own. Wishes come true so I will keep this one. I love the melon color, retails $110 and it's brand new. The Everly accordion pleated skirt gets cools points for perfect mini length and elastic waist. 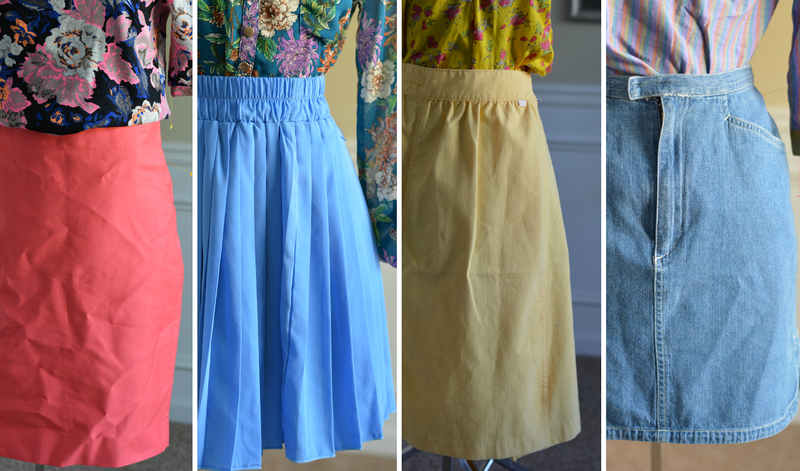 The vintage skirts - yellow Levis and denim Anne Klein were half off which prompted me to bring them home. I liked the lemon yellow color of the wrap skirt and the jean skirt had a broken in, loved feel plus a great fit. Thrifting is definitely an art! I enjoyed seeing all your loot and I love all the vivid colors!